Called pikake in Hawaii, Sambac is the plant used to flavor the jasmine tea and making perfumes. 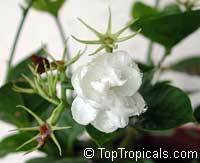 Perfect houseplant, takes both sun or shade, Jasminum Sambac is a beautiful fragrant everbloomer for your home and garden. This variety is close to Maid of Orleans, but has double flowers (smaller size than Grand Duke). 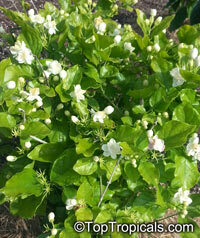 Tolerates some shade. 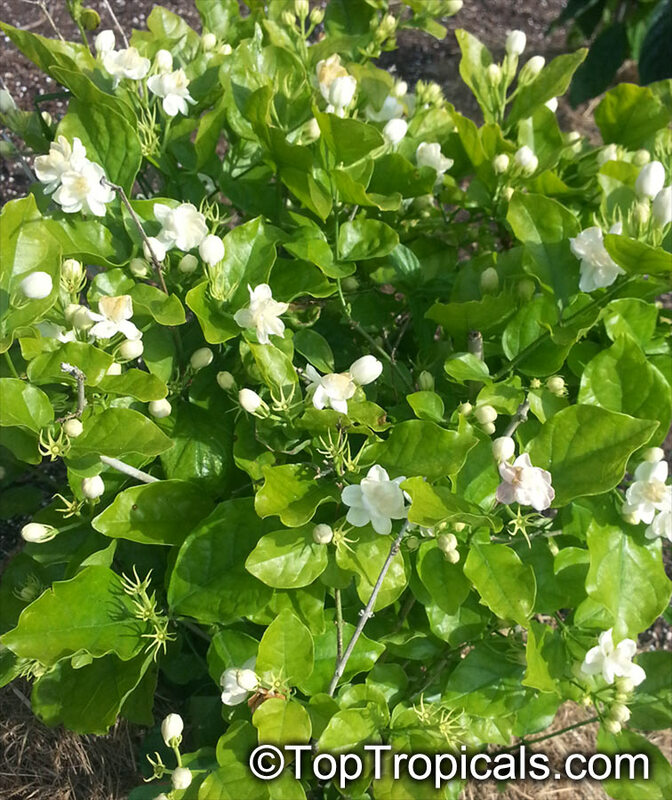 Slow growing variety. 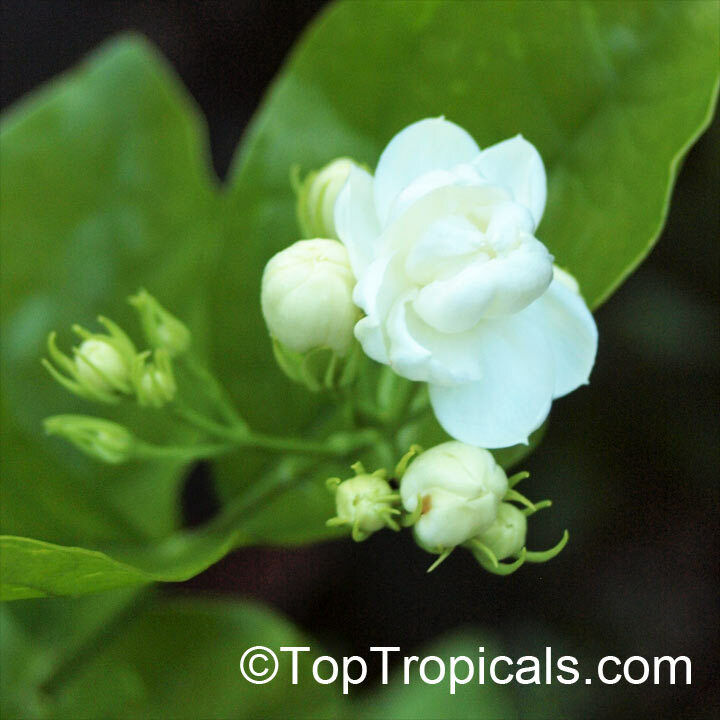 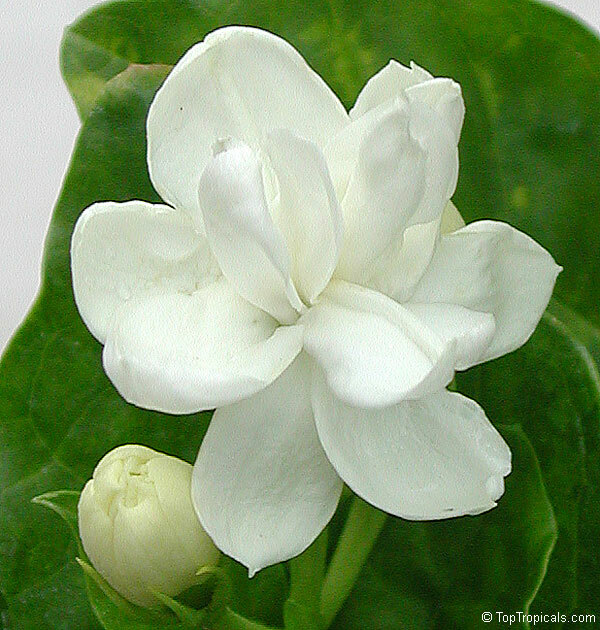 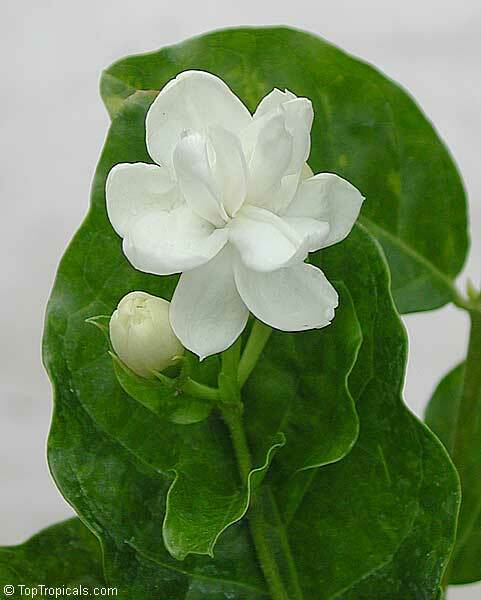 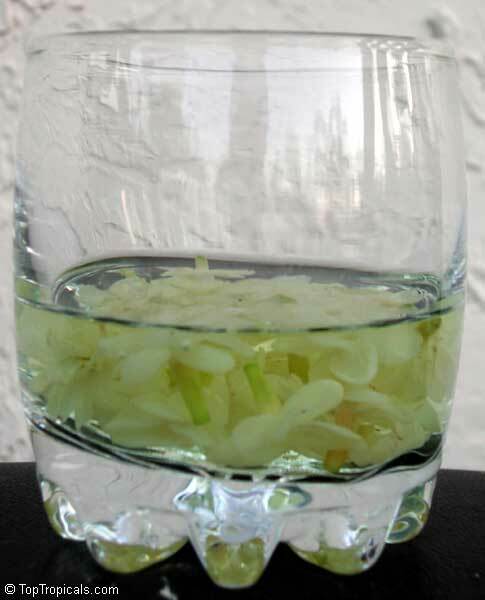 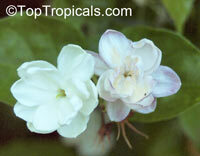 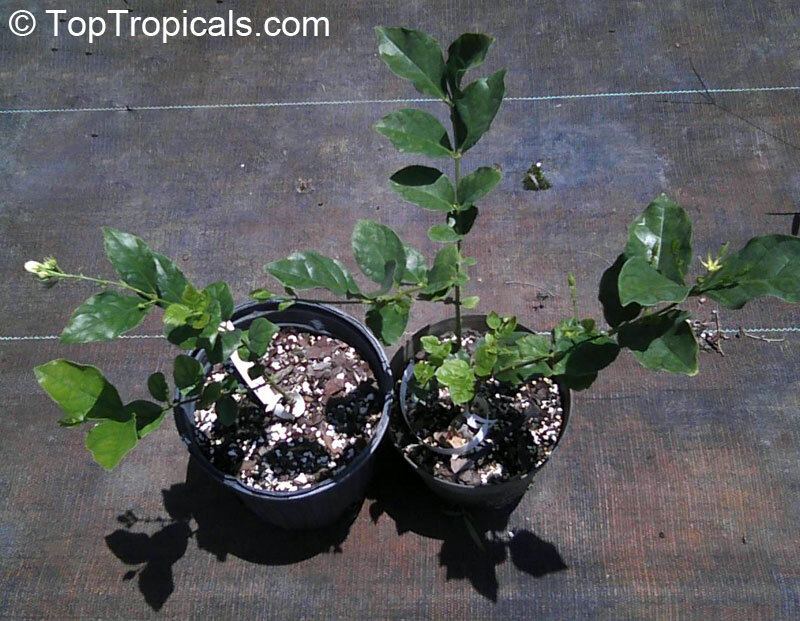 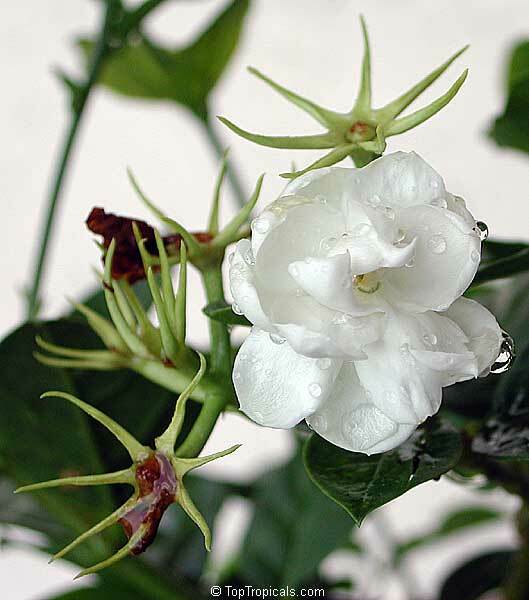 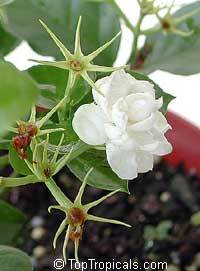 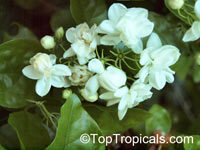 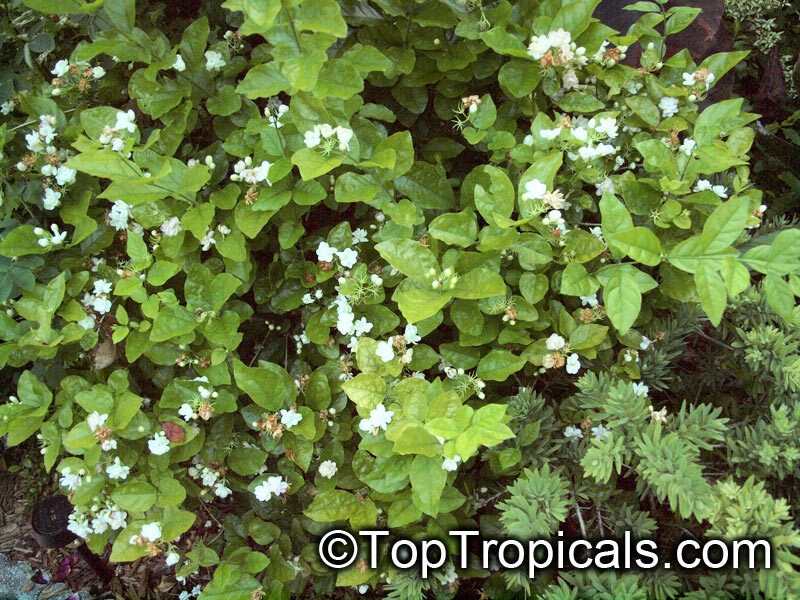 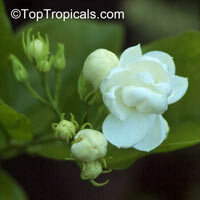 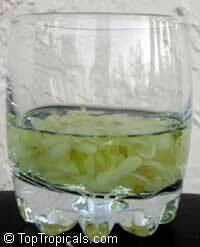 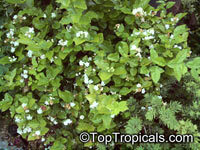 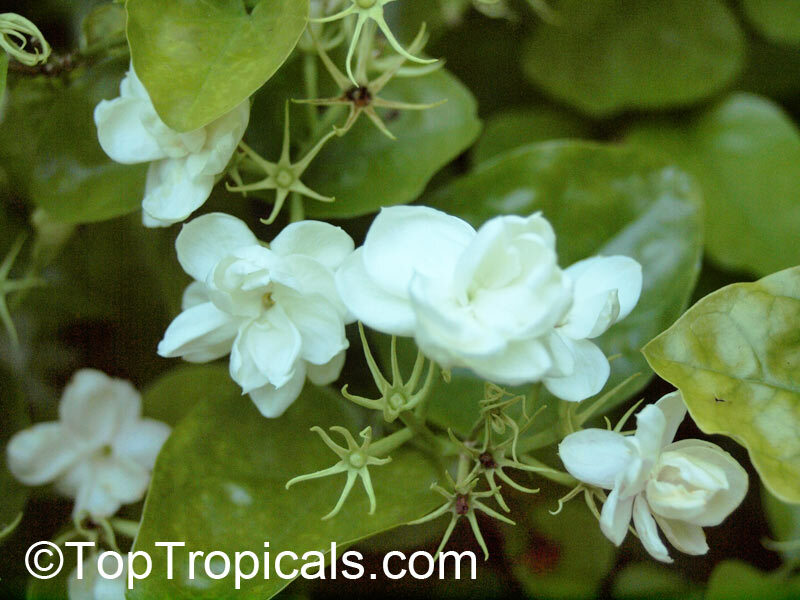 Read more about Jasminum Sambac varieties and see more pictures: Jasminum Sambac Page. Jasminum sambac Arabian Knights (Arabian Nights). 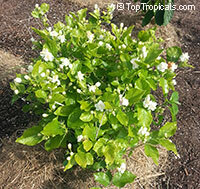 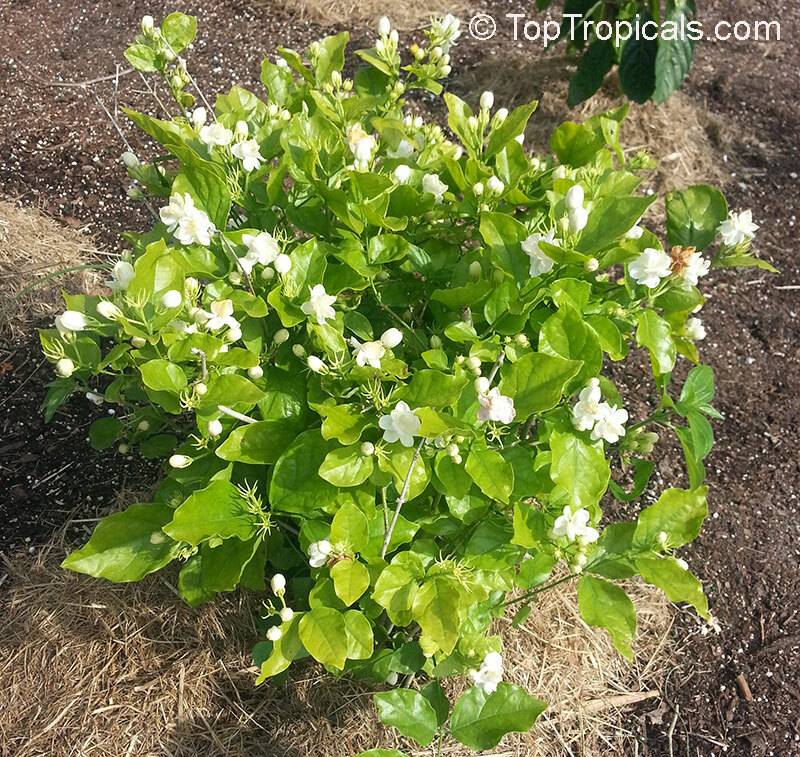 Rare variety of Jasmine Sambac with small double flowers and vining habit. 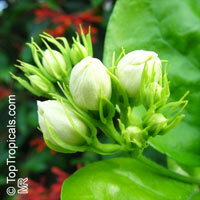 Slow, compact grower. See size of plants for sale.